Moon Setting at dawn over the fall Colors, Rico, Colorado. I was rolling up Colorado Highway 145 in the dark, intent on having a perfect October day of photographing in the high country. Historic Silver Mine Headframe, Rico, Colorado. As the dawn light slowly illuminated the landscape, the just-past-Full Moon was getting ready to set behind the San Juan Mountains. At Rico–perhaps my favorite mountain town–I pulled over for some shots. Mountains and fall colors reflected in ponds at dawn, Rico, Colorado. I turned off onto the road along the old beaver ponds and the hot springs. A calm chilly morning, perfect for keeping the ponds still to serve as mirrors. I was about to continue driving when I noticed the sunrise on one of the high peaks in the distance. And of course its reflection on the water’s surface. After that it was really time to get back on the road. Because who knew what more lay ahead after a start like this? Up the highway to Lizard Head Pass, and an early morning scene with its namesake, Lizard Head Peak. Lizard Head Peak morning sunshine, from Lizard Head Pass. Further along the road, I was afforded another glimpse of the moon over the high peaks. Moon setting beyond bare aspen trees, San Miguel County, Colorado. And another. I made a high resolution panoramic image of the scenery, free of the dark foreground trees, before heading down the South Fork of the San Miguel River. Which will be the focus of the next post. Moon about to set over the high peaks of the San Juan Mountains. Photo location: San Juan Mountains, southwest Colorado. Moonset beginning over Sleeping Ute Mountain. I had failed to be out there to photograph the October moonrise. It had been a rough day, and I preferred to stay at home. The moon waits for no one, though. But before first light the next morning, I awoke thinking it was dawn. It wasn’t. It was the all-but-Full Moon shining through my west window. As it was descending. Moonset. I rolled out of bed and grabbed my camera gear and loaded up in the dark. Well, not totally dark. Moonlight. Using The Photographer’s Ephemeris desktop application I had scoped out where to go for this event. It would sink behind Sleeping Ute Mountain if I were positioned atop Mesa Verde’s North Rim. Even in my sleepy condition, it seemed like I had a quite good chance of making it there yet, if I hurried. 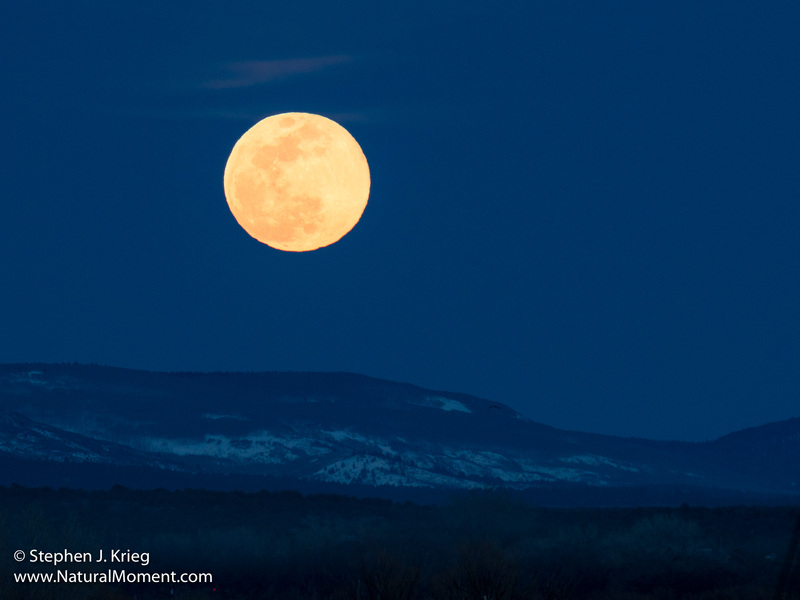 Full Moon descending from a cloud bank, Sleeping Ute Mountain. I did. Parking at the Montezuma Valley Overlook, I shut off the engine and the lights. The bright moon was the only light I was interested in. The moon was descending through a thin cloud bank. Good in that it was not overcast. Panorama of Moonset, Sleeping Ute, and the lights of Cortez. The wind was ripping through the notch in the Rim. Oh, nice, I thought, so windy that my tripod might as well be worthless as to holding the camera steady. But once I stepped away from the parking lot, down the paved path, the shoulder of the ridge cut the wind in half. Then even more. Nice. I set up the tripod. Zooming in on the Sleeping Ute’s crossed arms and moonset. I made a series of shots in the tough contrast between bright moon and the mountain. In some of them I included the twinkling lights from the small city of Cortez below. It gave those shots a lot of context. 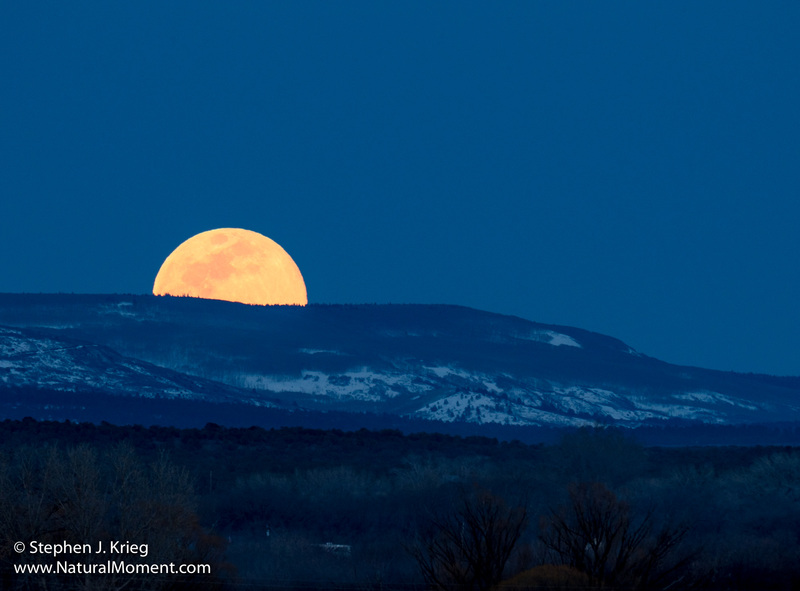 The Full Moon rises over the North Rim of Mesa Verde, as seen from Cortez. 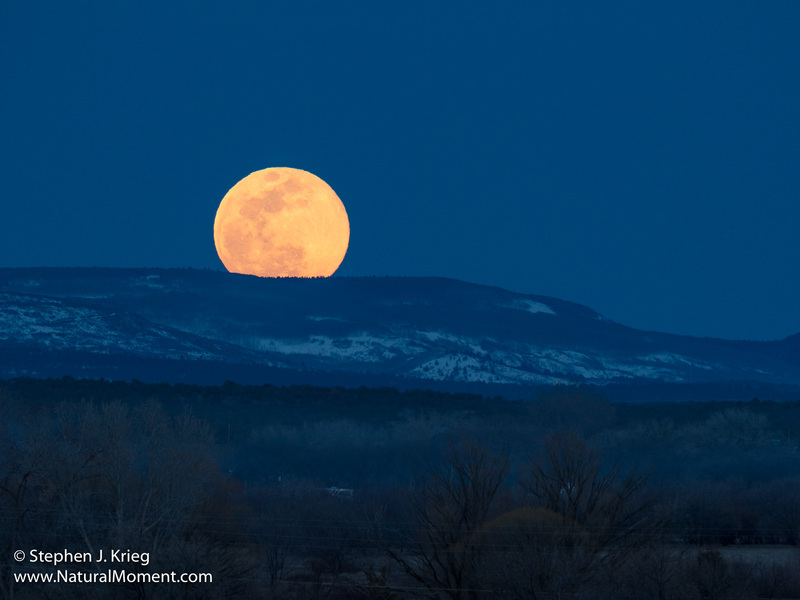 Last night’s Full Moon rising over the escarpment of the North Rim of Mesa Verde, as viewed from Cortez, Colorado. 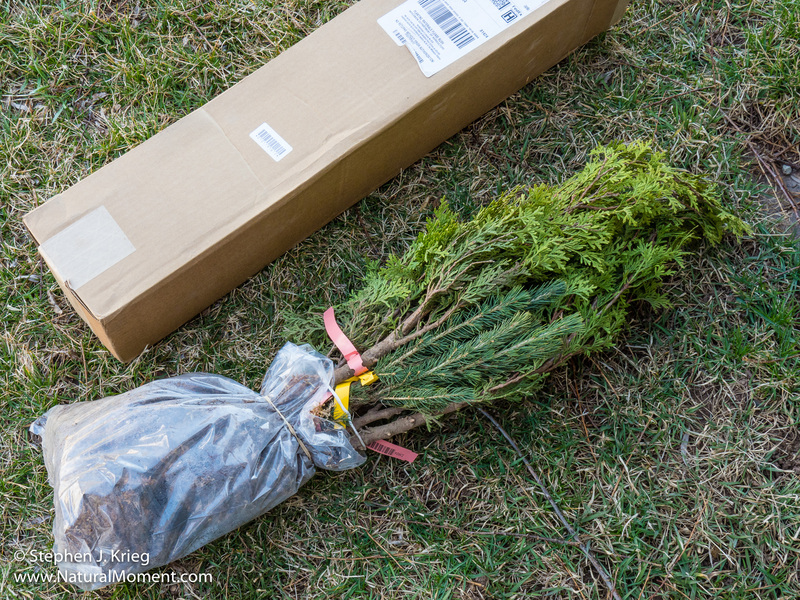 At the time of the Full Moon each month, there is not only the anticipation of landscape photos featuring moonrise in the evening, but the next morning there is moonset, too. For moonset at that time of the month, you have to be up and out there to your selected photo spot early. I almost missed mine this month, having turned off the alarm and dozed away. Waking to the sound of a robin starting to sing outside my window, meaning: it’s dawn, and you should have been up! I scrambled out of bed, out of the apartment, and drove to Totten Reservoir, which I had previously scouted for its view of the North Rim of Mesa Verde, but also its view to Sleeping Ute Mountain across the lake. It was breezy as I walked down from the parking lot to my chosen spot. Only to find a cloud of mosquitoes dancing in the lee of a Cottonwood tree. Not going to set up my tripod there! A few yards further down, the breeze was too stiff for the insects to get to me. Then the almost-risen sun added streaks of pink and white from the east, overtop Sleeping Ute Mountain to the west. My reward for hustling out there. Photo location: Totten Reservoir State Wildlife Area, Cortez, Colorado.